Mixed Vegetable kootu with step by step video instructions. - Delicious, healthy karnataka style kootu with coconut and spices. As the name says it has we use mixed vegetables like beans, pumpkin, carrot, peas, and you can use any vegetables of your choice along with toor dal. This Kootu is served with rice or rotis. 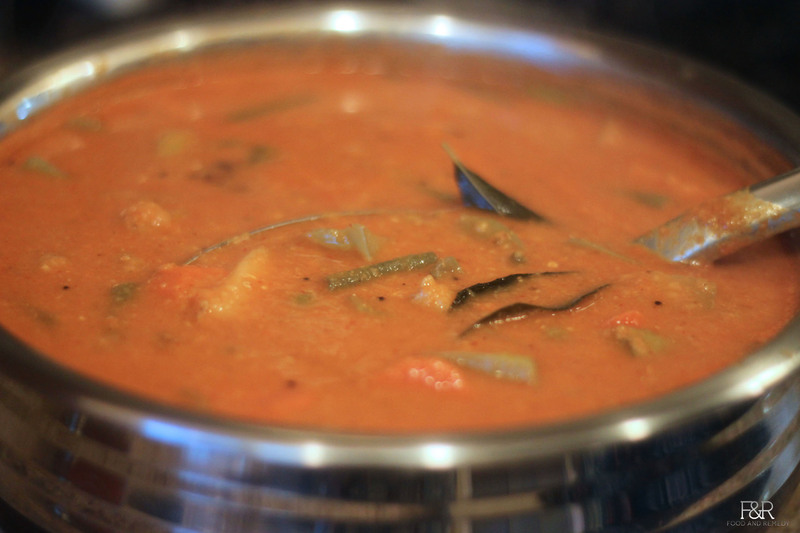 Please try out our authentic, Karnataka's traditional sambhar, Pumpkin Sambhar (Huli thove), which is prepared during Marriage. First wash the dal and pressure cook it by adding 4 cups of water and turmeric powder. You can also cook vegetables along with dal in a pressure cooker in a separate container, OR you can cook the vegetables on the stovetop. Add salt, then close the lid and reduce the heat. Let all the vegetables cook in that heat for about 10 to 12 minutes. First add a tsp of oil to heat up. Once it is cooled, grind it into a fine paste by adding water as needed. Now add this ground paste to cooked vegetables and allow it to boil for few more minutes. Allow everything to mix well and boil for another 5-7 minutes, then add the seasoning. Heat 1 tbs of oil in a pan. Add this seasoning to Kootu and switch off the stove. Now Kootu is ready to serve. Try this, http://goo.gl/9FXeEf. This should be ideal. But, again depends on whether you will have large number of guests, etc. Glad you are trying and giving us your feedback Savitha.